I toured Masdar City for the first time this week. It is difficult to not be overwhelmed with the vision and execution taking place there. 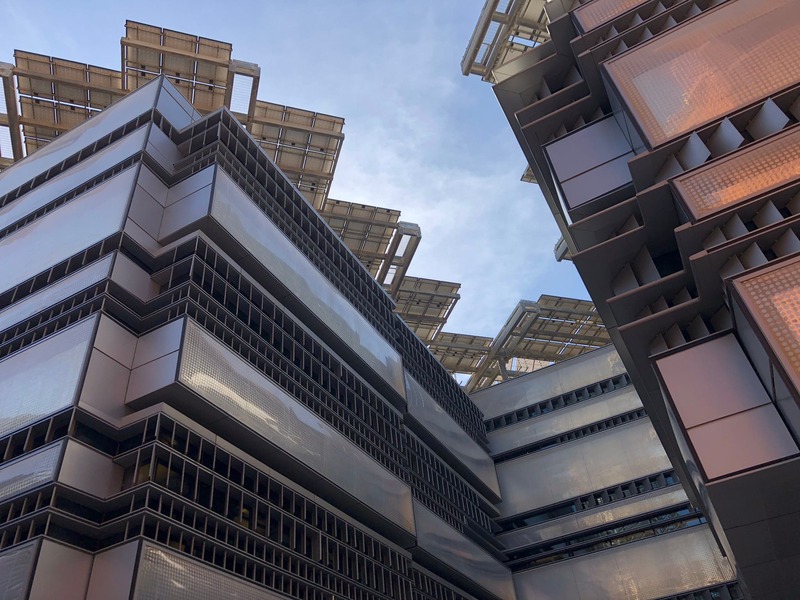 If you are new to cleantech news, make sure you go to the Masdar City website and check out its amazing architecture, admire its focus on residents instead of cars, and share with others its ambitious energy efficiency targets (which, by the way, Masdar* often exceeds). Masdar library with a “cap” to protect the windows from direct sunlight. Solar roofs and narrow shaded passages between buildings. A warm welcome and people with passion. What caught my attention right after we got off the bus (electric, if you are interested) were two beautiful Teslas Model S’s parked outside the Siemens building. I was happy to see them, as I had not seen many EVs before that (and kept asking everybody about EVs). As we were being escorted to the other building for briefing before the tour, I only caught a glimpse of the cars and moved on. After the briefing, I had a chance to speak briefly to Yousif Al Ali, Director of Business Development at Masdar Clean Energy. First, I was curious to know if they have a long line of corporates/privates willing to join the Masdar City community, which I imagined should be the case with so many advantages the place offers. Yousif quickly brought me down to earth, explaining how they need to fight for clients on the market as the “green” element of the place plays a secondary role to … price, of course. Brutal realism. 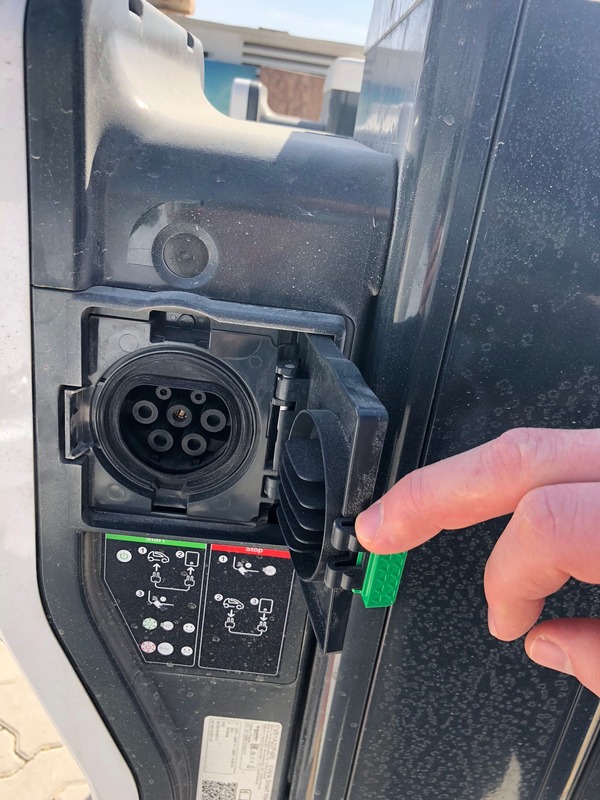 Anyway, I then asked about plans for electric carsharing programs, as that seemed to me an obvious complement to what the city was creating. Yousif only referred to their autonomous service using Navya shuttle buses. Exciting, too, but unfortunately, I didn’t get a chance to jump on one. Hmmm, I considered it news — never heard of a Tesla carshare program before. Thanks to Adam, I could finally get to Stephen, who is responsible for the project, and learnt a few more details. In short, they have partnered with ekar and are about to kick off in March with 5 Teslas — Model S and X. It will be station-based, at the start at least, but who knows what happens when they get to 200 units. For that to happen, Tesla needs to start delivering the $35,000 Model 3s, and I mean $35,000, not a penny more. Apparently, both Stephen and I shared hard feeling towards Elon for delaying the cheap model. 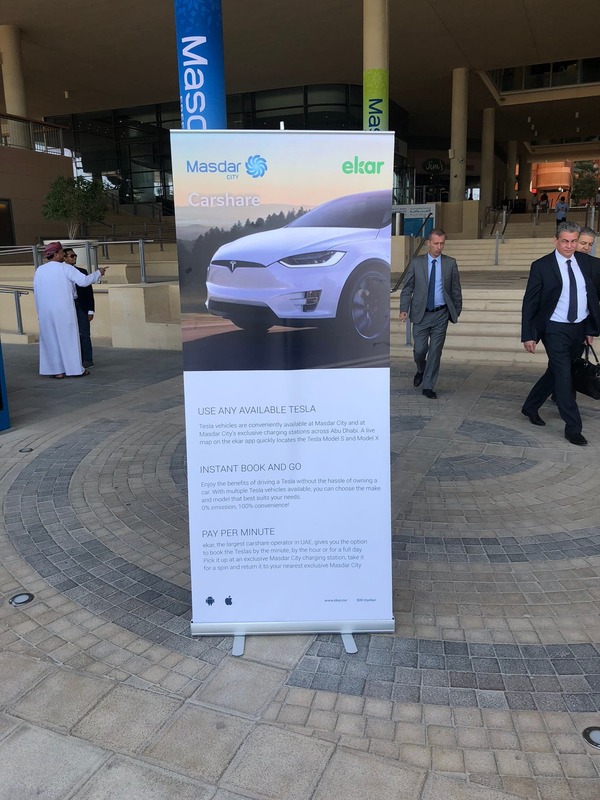 Once we finished the Tesla carshare chat, it turned out there is another sharing program they have introduced in Masdar City — a sharing program for electric scooters. 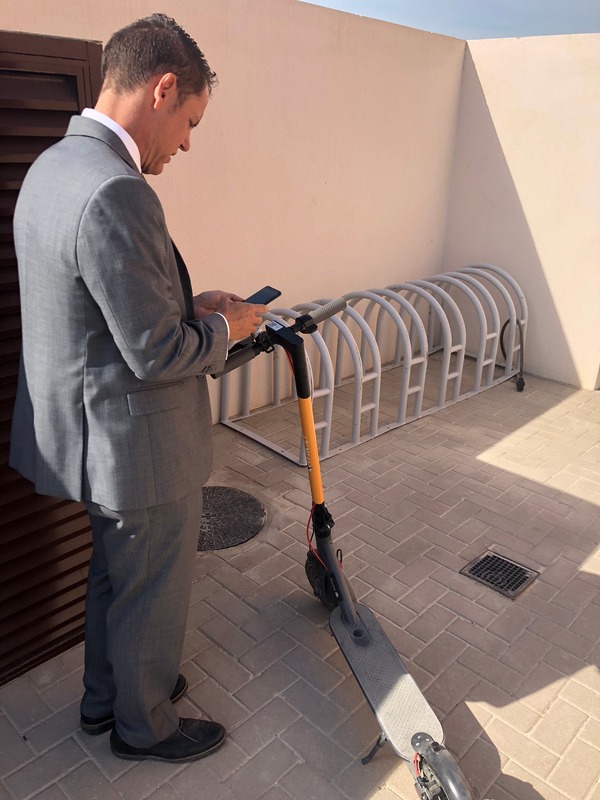 This program is still in its testing phase, but it looked like the scooters were used regularly and might develop into something bigger — unless the program will be halted with hot weather in the summer, which is a barrier to quite a few initiatives in the UAE. Electric scooters — click and go! To finish my EV quest in Abu Dhabi, I located a line of new charging stations right in the middle of Masdar City. They are not operating yet, but are quite ready Type 2 Schneider Electric EVlink Wallboxes. Does it mean something is happening we don’t know about? A young man from the Masdar Catylyst program for startups told me EVs were coming to the UAE and seemed to strongly believe that. Remembering what Stephen told me earlier, that is the idea behind the Tesla carshare — encouraging people to use EVs in general, not only through carsharing. I am starting to believe we will see more silent cars next year. EVlink chargers in the middle of Masdar City. 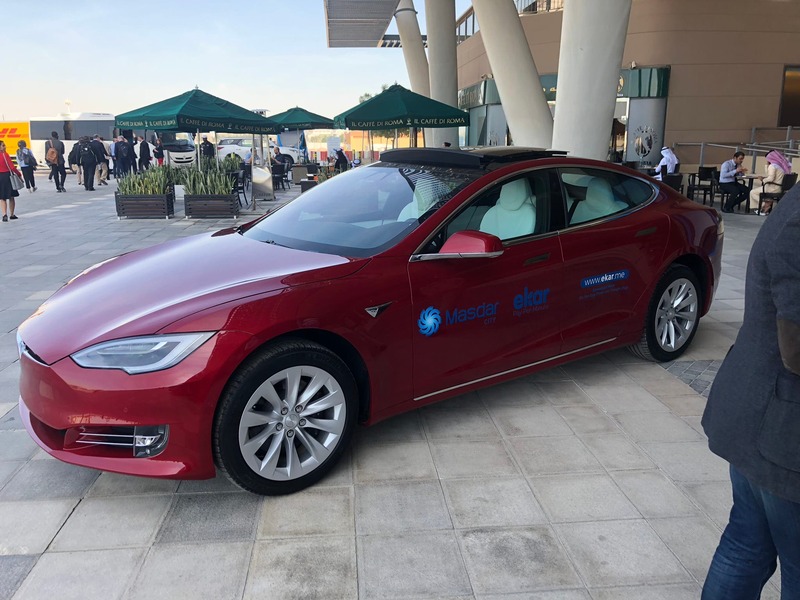 *This article comes from our participation at Abu Dhabi Sustainability Week 2019, which is hosted by Masdar, the Abu Dhabi Future Energy Company. 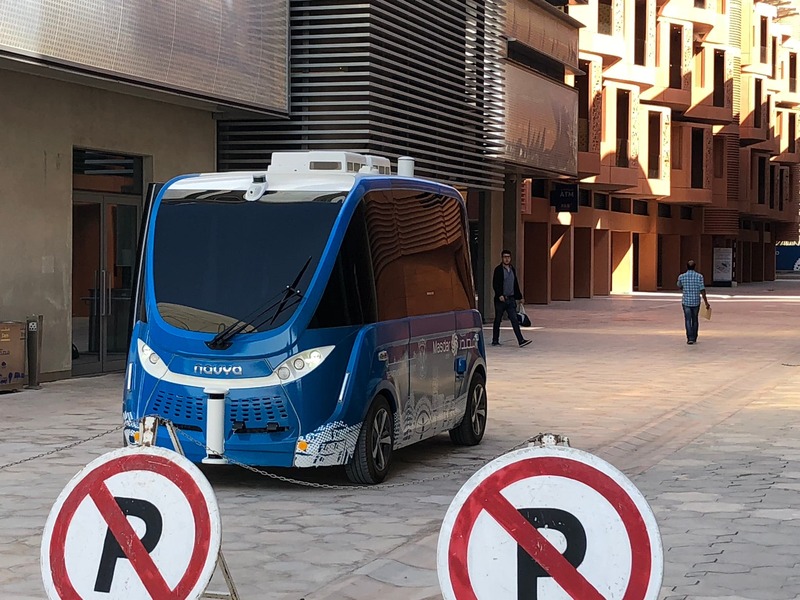 We have had transportation and accommodation provided by Masdar, but we are not required to produce anything specific and have freedom to write about what we like and with complete independence.